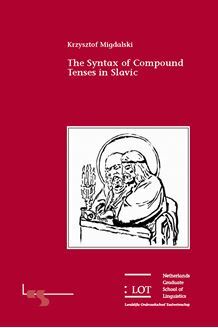 This dissertation examines the syntax of compound tenses in Slavic. It takes into account their diachronic development from Old Church Slavonic to the current stages. Slavic languages use a number of compound tense constructions that are not found in many other Indo-European language groups. They also exhibit a wide range of morphologically diverse participles. Hence, their investigation leads to a verification of some common assumptions concerning the properties and structure of compound tenses. The dissertation explores the constructions formed with the l-participle and the auxiliary ‘be’. The l-participle shows agreement with the subject, and is claimed to undergo XP movement to SpecTP in order to check the phi-features of T. This structure is contrasted with the compound tense formed with the auxiliary ‘have’ and the past/passive participle, which has been completely grammaticalized in Germanic and Romance languages, but in Slavic it has fully developed only in Kashubian and Macedonian. Special attention is given to the question of typological differences among Slavic languages, especially with respect to the inventory of compound tenses and auxiliary cliticization. It is assumed that the variation arose because of an overlap in marking aspectual distinctions by both aspectual morphology and aspectual past tenses in Proto Slavic and Old Church Slavonic. One way to remove this overlap was a morphological reduction of auxiliaries into clitics and suffixes. It is demonstrated that this reduction is reflected in syntax, and leads to a reanalysis of l-participle raising as a head movement operation.